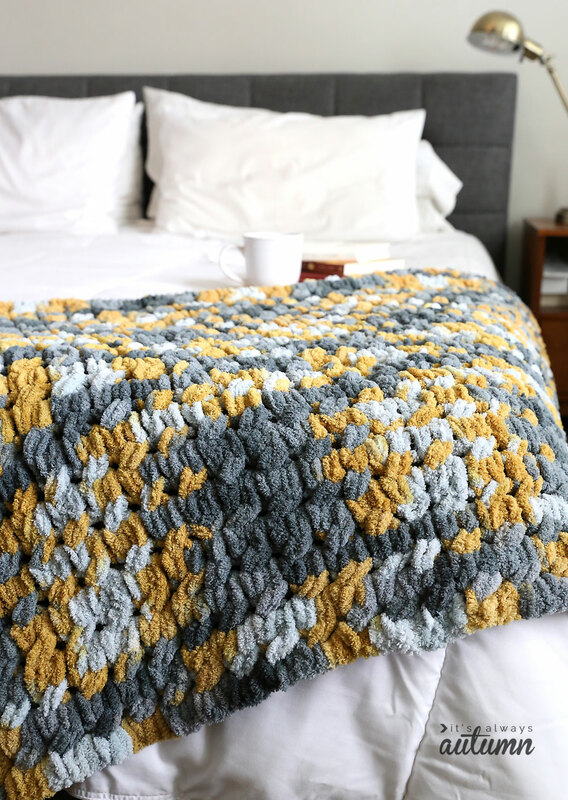 In today’s post: You don’t need any knitting experience to make this gorgeous cable knit blanket! 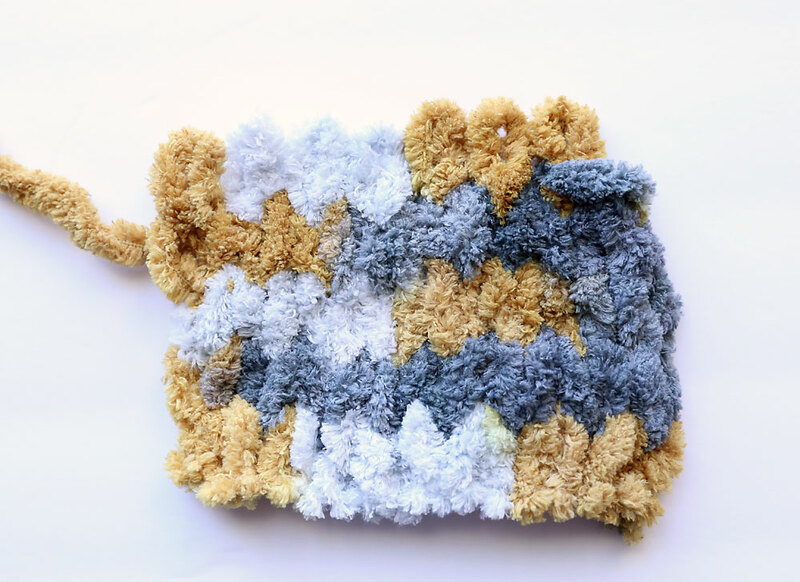 Learn how to finger knit without needles using looping yarn. Alright guys, I have another post for you about loop yarn. It is seriously my favorite thing these days! A few months ago I shared photos of my first finger knit blanket, and today I’m sharing my second. 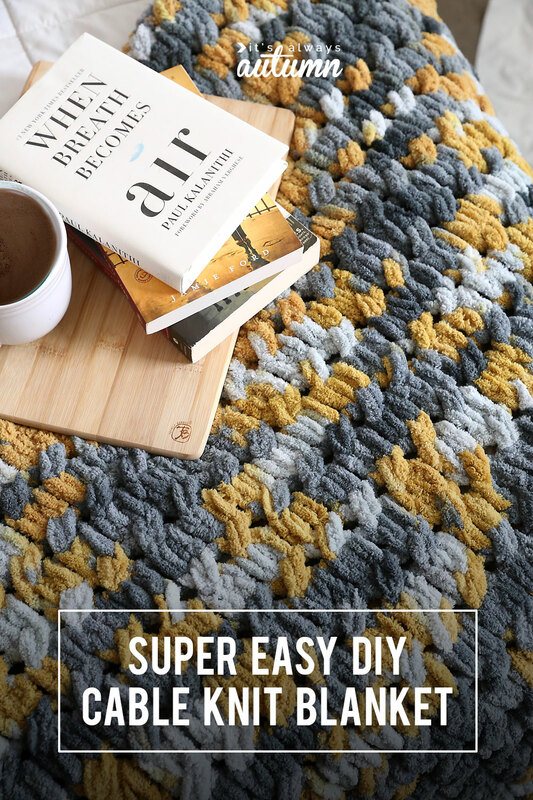 This blanket uses a cable knit stitch, which sounds hard, but like pretty much anything you make with looping yarn it’s dead simple. No needles, hooks, or knitting skills necessary! 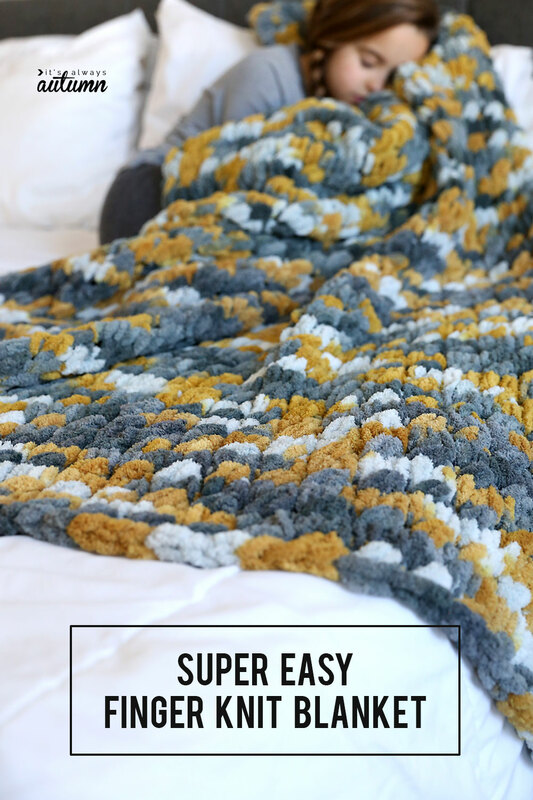 Keep reading and I’ll show you exactly how to finger knit a blanket using looping yarn. The best thing about looping yarn is how easy it is to work with; the next best thing is how soft it is – I don’t think I’ve ever felt yarn this soft. 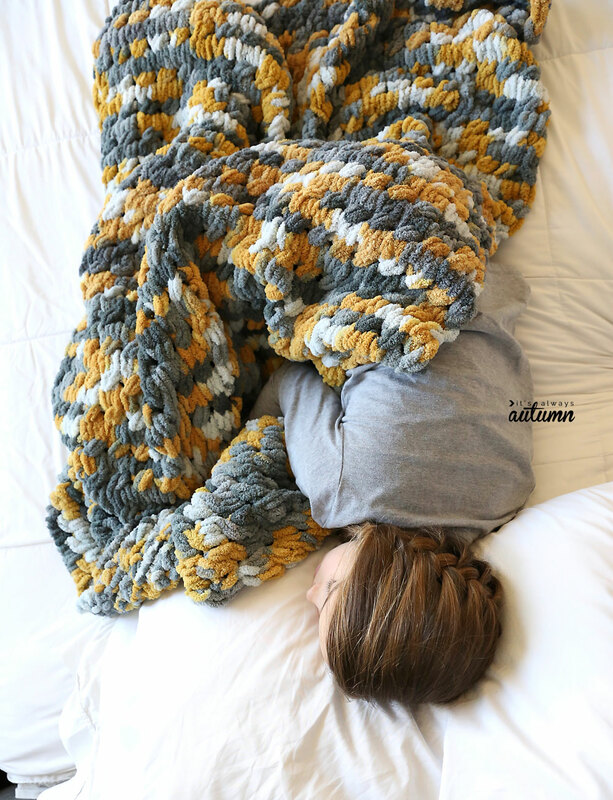 I made a throw size cable knit blanket, perfect for cuddling up with. The loops (that you would normally create while you knit) are already pre-stitched in, which means the hard work is done for you. Even though I have no idea how to knit, I was able to make this throw size blanket (50×60 inches) in 10 hours, while watching my favorite shows on TV. I’ve seen quite a few different brands of looping yarn, but my favorite is the Alize Blanket EZ yarn from Bernat, which you can buy at Jo-Ann. All the loop yarns are a bit pricey, but Jo-Ann almost always has them on sale and if you watch coupons you can get a good deal; I bought yarn for this cable knit blanket when it was on sale and used an additional 20% off coupon. NOTE: Some other brands of loop yarn seem to be cheaper than the Blanket EZ brand; however, when you compare the length that comes in each skein I think the Blanket EZ is actually a better deal. I really love the texture that an easy cable knit stitch gives you! For a 50×60 inch blanket (throw size), I used 6 skeins of Blanket EZ loop yarn. I used a variegated yarn to get a pretty multi colored look without having to switch yarns. Remember, when making a blanket you’ll want to start by counting out as many loops as you need to get to the width of your blanket. My blanket is about 50 inches wide, and I counted out 70 loops for my first row. 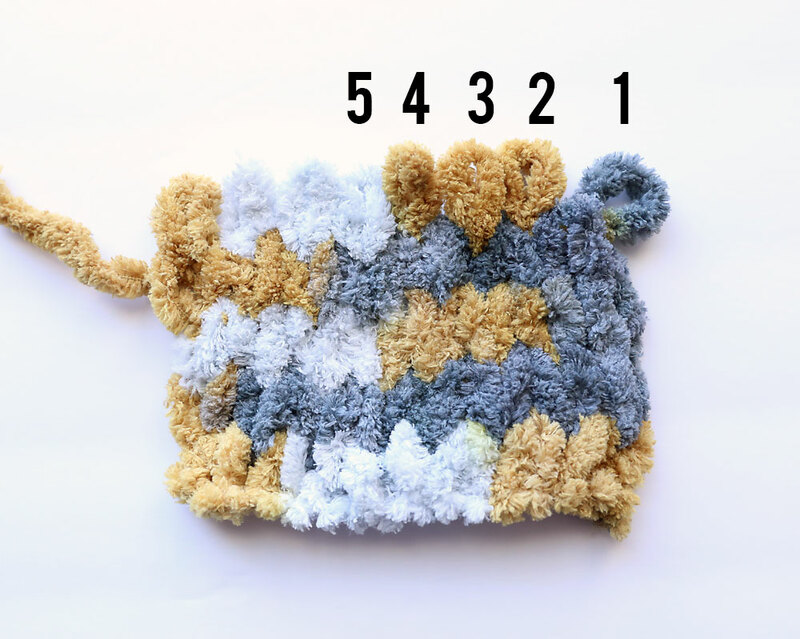 If you are making a cable knit blanket, be sure to count an even number of loops for your starting row, since you will be working in pairs or loops. When you begin your blanket, you’ll want to make sure you have a “tail” on the very end of the yarn. To make a tail, just clip across the stitch that holds the first loop together at the bottom. When your blanket is complete, you’ll just tie the tail off and then weave it into the blanket to hide it. Finger knit your blanket as directed in the video above. 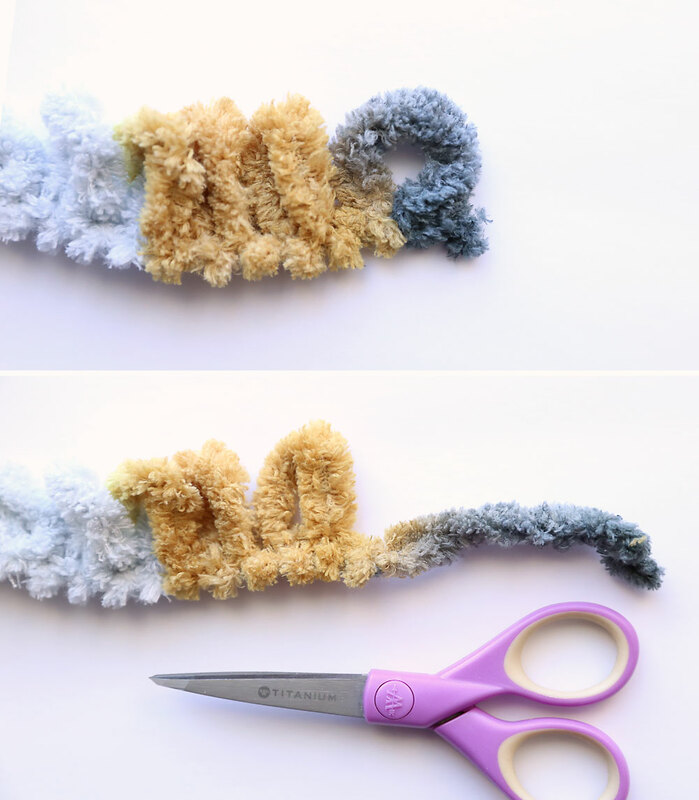 Anytime you need to start a new skein of yarn, just cut a tail at the end of your current yarn and a tail at the beginning of the new yarn and tie them together. When the blanket is complete, weave in any tails to hide them. To finish the blanket, you’ll bind off the top row. Start at the opposite end of where the yarn tail is. 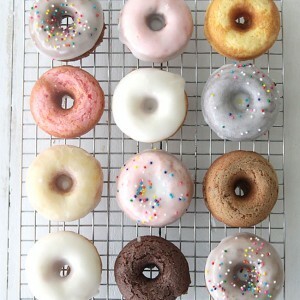 In the photo below, I’ve labeled the loops 1, 2, 3, etc. To bind off, pull loop #2 through loop #1, as shown below. Then continue in the same way, pulling loop #3 through loop #2, then loop #4 through loop #3, etc., until you get all the way to the other side of the blanket. Pull the tail through the final loop and tie it off, then weave the tail in to hide it. What brand of yarn did you like best? I used the Alize Blanket EZ yarn. This post isn’t sponsored; I’ve just checked out a few different brands and this one is my favorite. How much yarn does a blanket take? For this throw size blanket (50×60 inches), I used 6 skeins of the Blanket EZ loop yarn. The first blanket I made was larger, closer to a twin size, and it was 3 different colors, so it took 8 skeins. I’ve also made a baby blanket (about 1 yard square) and that used 3 skeins. How long does it take to make a blanket? I find that once I get going I can work through an entire skein of looping yarn in about 90 minutes. I stop often to check my work and smooth out the yarn, so once you’re used to it you could probably go even faster. This throw size blanket that takes 6 skeins took me about 10 hours, and it’s easy to work on while watching TV or listening to an audiobook. Where can I learn different stitches? 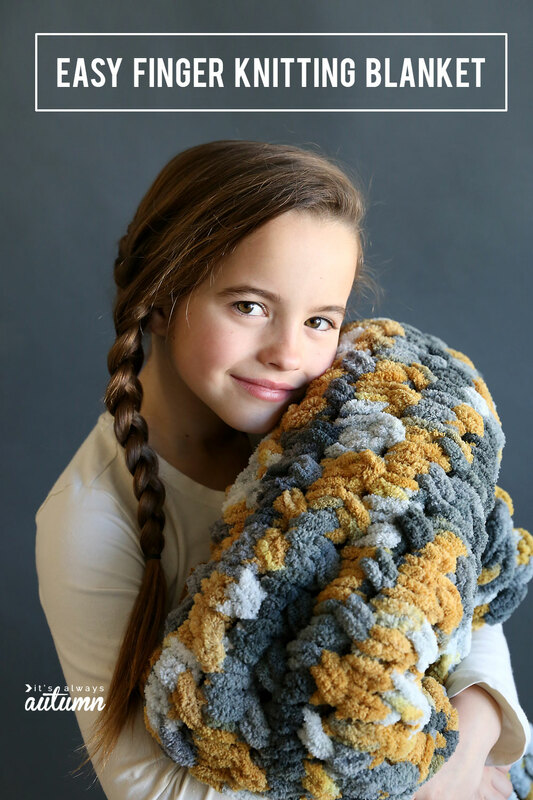 The Yarnspirations website has lots of patterns for different types of blankets, as well as scarves, pillows etc. 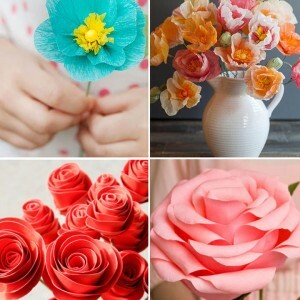 You can also find lots of video tutorials on Youtube. Is looping yarn washable? According to the package it is machine washable and dryable. I haven’t washed my blanket yet, but I’ll update the post when I do. 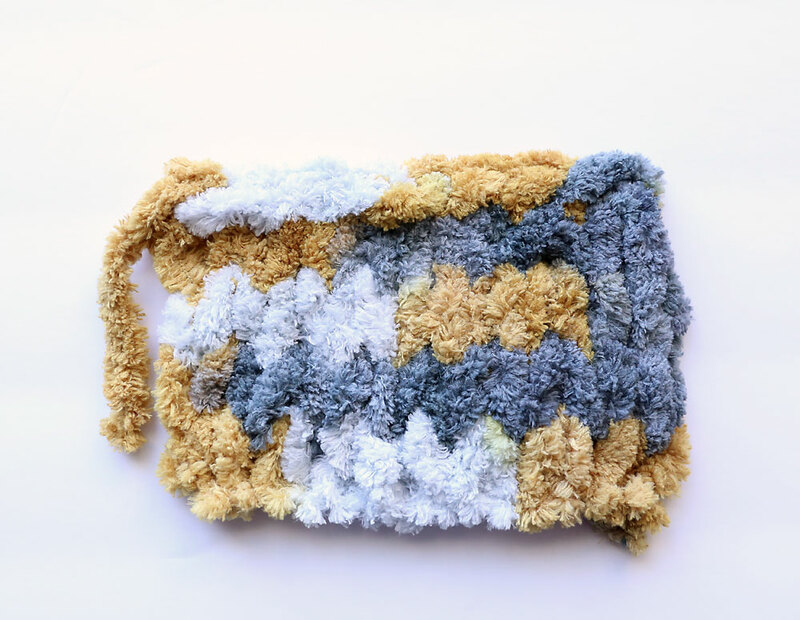 Let me know if you give looping yarn a try – I’d love to see photos of your projects! The video link isn’t in the post. I really liked this blanket. As soon as I can, I am getting the looping yarn and get started on a baby blanket. My church ladies have been looking for a project to give to Children’,s Hospital and our local police drpartment… “Com fort blankets”. 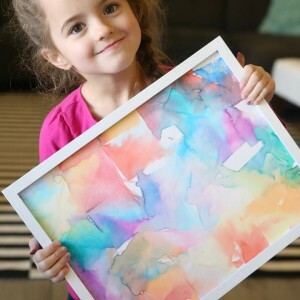 My daughter is going to love this project. She loves making things and I love it when she makes useful things so thanks for the great cable knit blanket project! I don’t m ow what I am doing wrong but when I am doing the bunny ears for the third time, I end up with only 69 loops, so I have one lonely loop that can’t cross with another. I’ve taken it apart and redone it three times and I get the same thing each time. I don’t know what I am doing wrong. 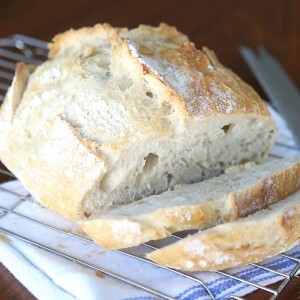 I am super excited to make this but getting a bit frustrated. Any help on what I could be doing wrong would be greatly appreciated. Thanks! I saw the FB video, but I wanted to be able to come back and keep it to watch again later Is there a youtube video for it, I couldn’t find 1 Thank you this looks really neat! I want to try this I have always knitted but would be so much fun and faster. I need to see where to buy the yarn and colors . I found the neatest way to join skeins is to sew them together with matching sewing thread. Joining by tying ends together gives a “bump” that I did not like.